From da Hares: We have two trail options for you – you can choose from a typical Chicago trail with two beer stops, or you can choose a pub crawl trail with pre-arranged drink specials. Both groups will then meet up at the on-in for several hours of drinking and debauchery. Both of these options are A-B and runners will have your bags and all other necessities transported for you. From da GM: For those possibly coming into town late, have other obligations earlier in the evening, or inclined to get lost on trail when a city uses a freaking grid system – this hash will be winding up at the O’Malley’s West (2249 N. Lincoln Ave) just down the street from Irish Eyes. We’ll have the upstairs to ourselves starting at 10PM and have beer and food available. Don’t be afraid to join us later if you can. From Lincoln Park/Lakeview: Brown Line to Diversey. Hoof it South on Sheffield and then turn South on Lincoln. Bar will be on the East side of the street. From Wicker Park/Bucktown: 73 Armitage Bus East to the Armitage Brown Line. Transfer to the El and take the Brown Line North to Diversey. Hoof it South on Sheffield and then turn South on Lincoln. Bar will be on the East side of the street. Hop in your hooptie and cruise to Lincoln and Lill. 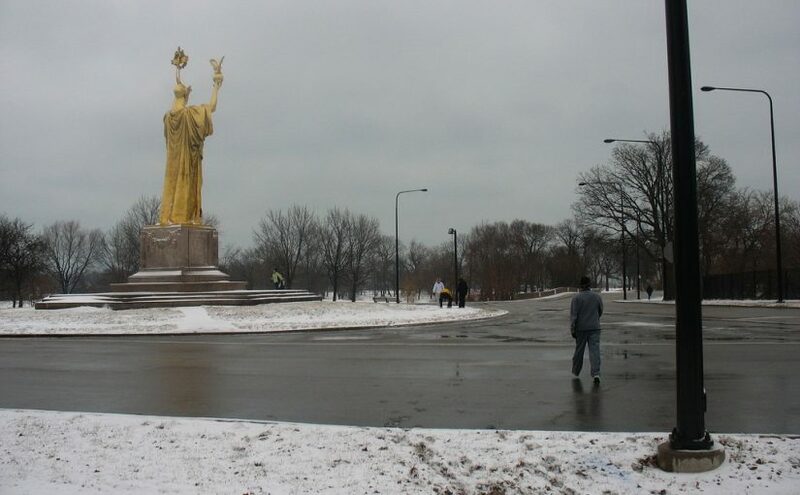 This is an A to B trail and this is Lincoln Park, so you’ve going to have to walk back to your car to feed the meter.